The Peoples Democratic Party, PDP, Tuesday, accused the ruling All Progressives Congress, APC of burning the Independent National Electoral Commission, INEC, offices in various parts of the country. 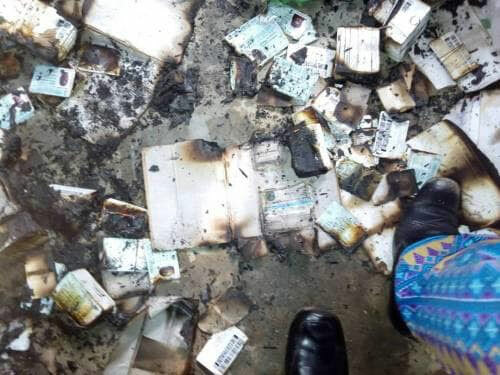 The party clearly stated that it has fresh facts and prove to show that APC was responsible for the burnt INEC offices. In a statement disclosed by the National Publicity Secretary and Director, Media & Publicity, PDP Presidential Campaign Organization, Kola Ologbondiyan, the party charged INEC to be careful noting that APC is after it facilities.